The PCs just learned that their archenemies, the Black Hammers, had been in Arianport for weeks or more and had been behind a local smuggling ring to earn a steady income in this northern land. Though the PCs broke up that smuggling ring, the Hammers’ leader escaped, while other Hammers almost killed some PCs by immolation, first in a rowboat and later by setting the smuggling HQ aflame while the PCs were in the basement. 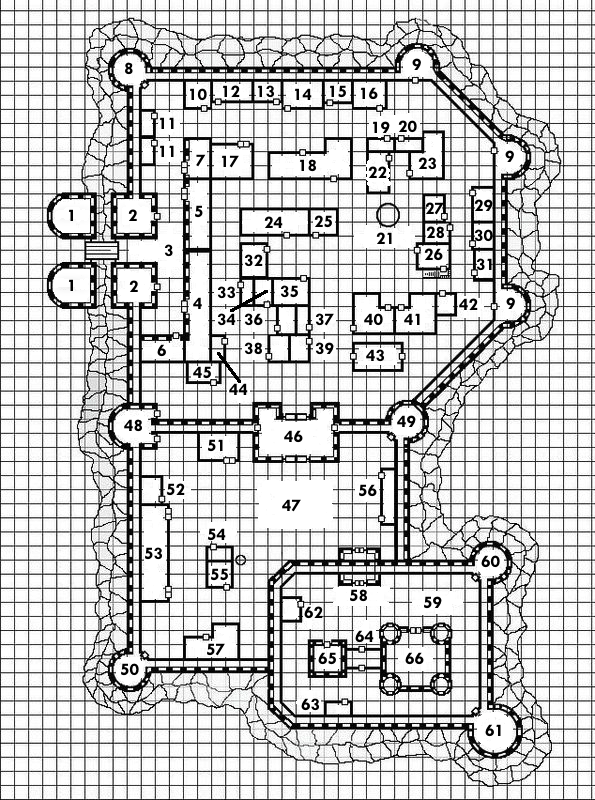 Later, the PCs returned to find that the Hammers had also poisoned most of their hirelings and set their hunting lodge and stables on fire, resulting in six deaths and many casualties. One PC, Sir Tomo, rode to the Old Parish Church to get the aid of their friend and ally, Father Johann. This encounter was the culmination of some building tension between a PC knight and a local duelist, whom the Black Hammers hired to harass the PCs. He finally managed to get Sir Tomo alone. I did not arrange this battle in the snow to be a duel to the death, but the player surprised me in demanding that it be so. He was overconfident until a few rounds into the combat. By then it was too late. Yet, we played with house rules in which armor counts provides damage reduction so this fight was a classic of speed versus power. At the end, each combatant had about three hit points. Everyone at the table was holding their breath during the duel. Any textboxes contain text that I read during the game.